The High Park Fire continued to rage growing to 81,190 acres as of Saturday night. 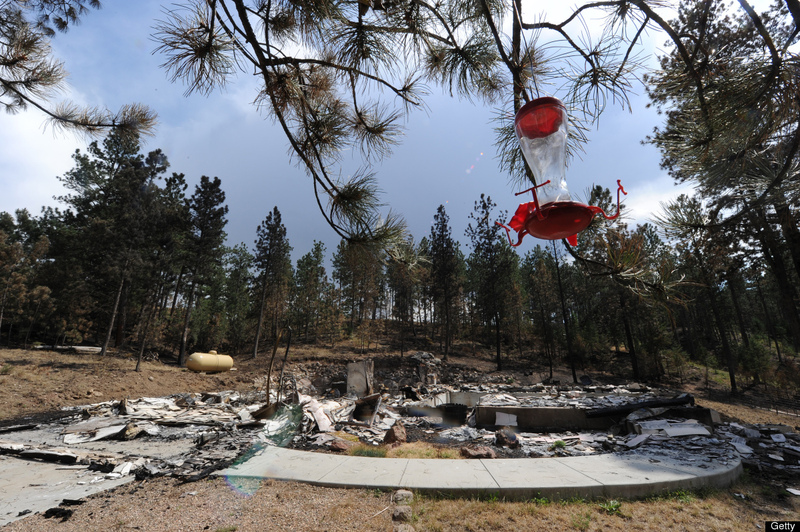 The fire is now the second largest fire in Colorado history as well as the most destructive. Firefighters had been gaining ground on the fire last week, but the high heat and wind over the weekend proved to be devastating. Containment fell from 60 percent on Thursday to 45 percent as of Saturday morning. Under a Red Flag Warning from the National Weather Service -- which went into effect at noon on Friday and remains in effect through Sunday evening -- temperatures rose to 84-degrees in the fire area, gusts blew at more than 30 mph and relative humidity was at only 5 percent. 1,923 firefighters continue to battle the blaze, burning since June 9 and now on its 16th day, with the help of 15 helicopters, 5 heavy air tankers, 135 fire engines and 11 dozers. The cost of the fire to date is $27.6 million. The massive fire has now burned approximately 125-square-miles -- to put this size into perspective, that's approximately the same size as the cities of Boulder, Broomfield and Fort Collins, Colorado combined. At 11:53 p.m. Fire officials issued PRE-evacuation orders for the Bonner Peak area, including the area from Springs Ranch Road on Hwy 287, north to CR76H, west to CR37, south to CR74E, south to CR74E and back east to Hwy 287.